The shop is located in an underground area along the Kichijoji street near the Kichijoji station. Since it is hidden away in a quiet area near the Inokashira park, you will almost miss the shop if you don’t know exactly where to look. Although the shop just opened in July, 2011, the owner from Sendai came up with the shop name “kokoro (heart)” when he experienced kindness of many people after the Tohoku earthquake. The shop name also signifies the owner’s hope that the shop remains accessible to people in all walks of life. The used clothing items displayed inside the shop look to be in excellent condition and are priced reasonably. 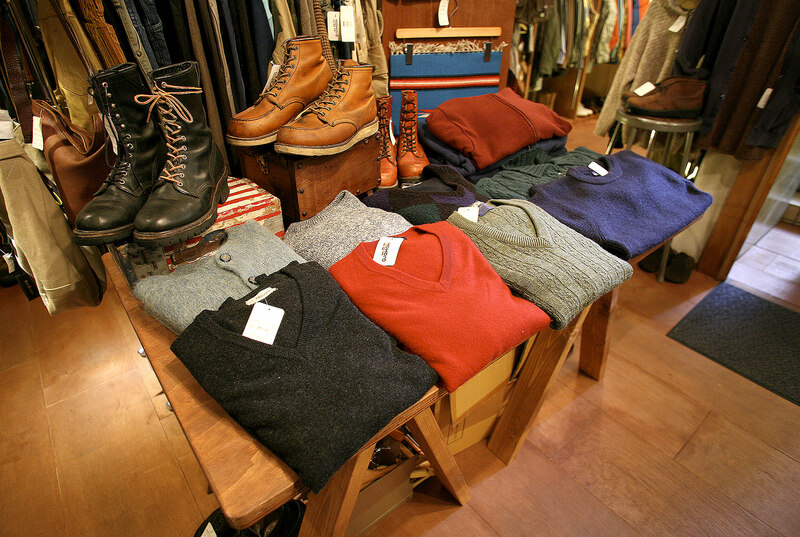 The owner and S-kuma san were originally buyers of used clothing and they have a keen eye for good products. They also have new Ralph Lauren clothes in addition to men’s and women’s used clothing.